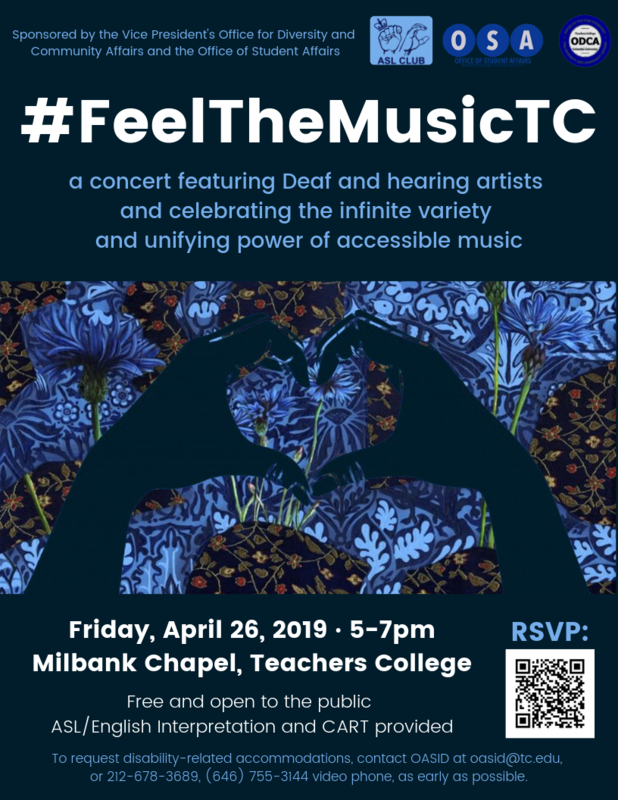 The #FeeltheMusicTC Concert is on April 26, 2019 (Friday) from 5 to 7PM at the Milbank Chapel. It is a concert featuring Deaf and hearing artists collaborating and celebrating the infinite variety and unifying power of accessible music. It is FREE and open to the public. Want to go? Get your ticket.